IR35 guides and help: Do the rules apply to you? If you are caught within the legislation then you can expect to pay about 25% more in tax every year, so you want to try and ensure that it does not apply to you! 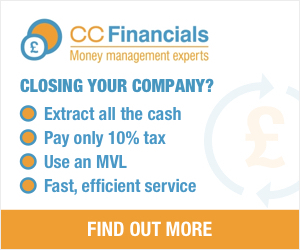 Despite having been in force since 1999, it is heavily criticised by tax experts and the business community as being poorly conceived, badly implemented by HMRC and causing unnecessary costs and hardships for genuine small businesses. Introduced in April 2000. Being reformed in April 2017. If you are a genuine professional contractor, freelancer, interim or consultant who is in business on your own account, you should have nothing to fear from IR35. This is so long as you take the time to understand how the legislation works and apply best practice to ensure it does not apply to you, and have a defence prepared if investigated by HMRC. You can start by using our IR35 calculator below to determine how much extra tax you would have to pay if caught, and also use our free online IR35 status test to determine your status. Then our comprehensive guides will explain how you can ensure you never get caught by it. If the rules apply to you then you have to pay tax as if you were employed directly by the client, including employers and employees National Insurance Contributions. But you will not get any employment rights. Use the calculator below to work out the financial impact on you. Use our simple online test to analyse and check whether you fall inside HMRC’s rules. This assessment, developed by experts, will cover all potential risk areas and help evaluate your status. 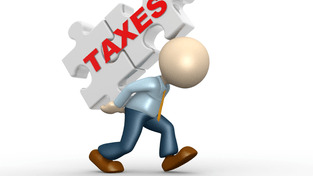 Find out how much extra tax you will need to pay if you are caught. Learn the basic of the legislation and how you can avoid it. What triggers an HMRC investigation? Don't raise any red flags. Investigations are stressful and costly. Does working for an umbrella company enable you to avoid it? To stay outside, you should ensure you are not under the supervision, direction and control of your clients. If you create and maintain compliance files you can rest assured you will be able to prove your status. Contractors should be taking action now to help build future IR35 defences. Here's how. HMRC is always on the lookout for contractors who put themselves inside it by making easily avoidable mistakes. Here are the top ten traps to avoid. When contracting for a former employer, you must prove your new relationship is different. Demonstrating business risk can show a contractor as ‘being in business’, thereby helping the case for being outside.. Contractors must adopt the correct terminology when agreeing to performance-based bonuses for a project. Project managers can stay outside as long as they have no line management responsibilities. Contractors generate evidence about it every day and by filing it they could halt an HMRC review at the outset. HMRC is constantly on the lookout for ‘disguised employees’. Here are ten precautions you can take to ensure you don’t get caught. Can your accountant keep you outside of IR35? 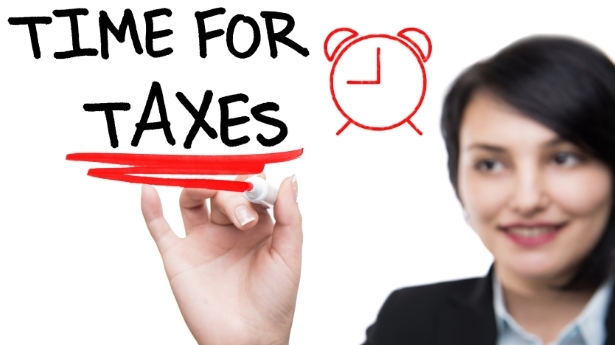 You should hire specialist accountants who can ensure you are taking all necessary steps to stay outside. Use our expert five step action plan to retain skilled resources, cut costs and keep compliant with the public sector IR35 reforms. The expected private sector rollout of the IR35 reforms poses a unique threat to contractors but your accountant should be able to help. Here’s how. HMRC’s IR35 CEST tool will only pass contractors in cases of absolute certainty. Find out the few routes through the tool that can make you pass IR35. 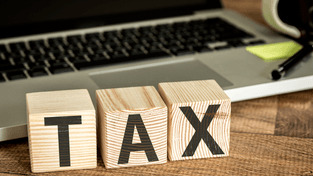 The first IR35 ruling in seven years provides several key lessons that contractors can use to avoid a heavy tax bill. Find out what they are, here. Employment law is exceptionally complex and trying to do it without help could be very costly indeed. Read how professionals can help you. The UK Employment Appeal Tribunal in London has handed down a critical decision on the definition of a worker--it directly affects contractors who could be considered employees. Does length or number of contracts affect IR35 status? Does how long you work at a place, or the fact that you have several different contracts affect your status? If the client requests me personally, am I caught by IR35? Many contractors who are the leaders in their field find themselves working for clients who will accept no substitutes. But this does not mean that the contractor is caught. You should always get your contract reviewed for status by an expert, to ensure you have taken ‘reasonable care’ in the eyes of HMRC. Contractor contracts are vital evidence that can be used by HMRC to place a contract inside. Don’t let your contract fail and cost you cash. Signing a contract without checking whether it passes is taking a huge risk. Here’s what to look for before signing the contract. Half my contract is onsite and half at home – am I caught by IR35? Significant variations during a contractor’s contract can lead to different treatment. Independent contractors are workers who are in business on their own account & provide their expert services to clients under a contract for services. Be concerned, but don't be misinformed. 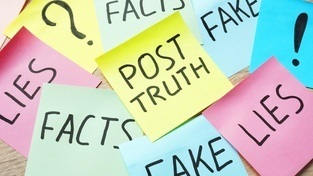 Find out the top 10 myths about the legislation. I’ve been outside IR35 and now think I’m caught. What should I do? Contractors experiencing a sudden change of circumstances mid-way through a contract may find this alters their status and hits their finances. It will apply to any contractor who becomes an office holder unless they can prove that personal service is not required. You can use HMRC’s six example scenarios to help you decide whether it is likely to apply to your current contract. Contractors domiciled in the UK and working on overseas contracts will find that it still applies in most cases. ^ TopFinancial Impact of IR35? If you are inside it and being paid via a deemed payment you will pay 14% more tax than a permanent employee, but get no rights. Having contracts both inside and outside need not be complicated for you to deal with. Working on contracts inside means you must pay extra tax and, if caught without declaring it, you face steep HMRC penalties. You can ask HMRC to review you contract, but this could increase the risk of an enquiry, particularly if the contract is borderline. HMRC’s online manuals for tax inspectors’ use provide contractors with insights into how not to be seen as an employee and how to stay outside. Contractors can access information, guidance & advice online and by phone from HMRC, but it comes with a health warning as there are grey areas. You can help determine your level of risk by taking HMRC’s business entity tests, answering 12 questions about your business. You can use HMRC’s business entity tests to gauge your risk, which could lead to 3 years of free contracting. A contractor explains his frustrations at trying to negotiate a services based contract with an agency. 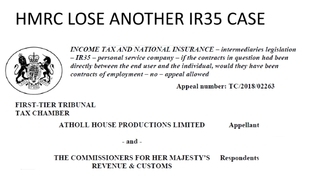 A contractor explains how he used a legal expert to get his contract passing IR35. Contractors may blame their agent for landing them with a contract inside, but they have few legal options. Case law is fundamental to the workings of the UK legal system and is often used to determine whether a contractor is inside or outside. Mutuality of obligation is one of the key factors used by a court or tribunal to determine whether it applies and a contractor’s employment status. 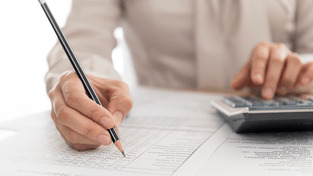 Accounting requirements when you have contracts both inside and outside IR35. Follow this 6 step action plan to keep you operating outside IR35 by mitigating the impact of the public sector reforms. Contractors can adopt a range of strategies to reduce the risk of an HMRC investigation. Contractors who have been found by HMRC to fall foul and been presented with a large bill for back taxes can appeal to the tax tribunal. 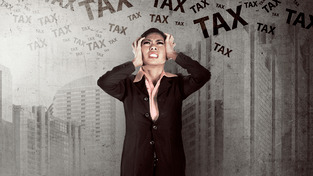 You can be forced to endure years of stress before your case is resolved with HMRC. Early intervention by expert advisors can prevent HMRC investigations turning into full blown status reviews. 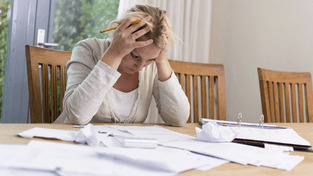 Undergoing a review by HMRC means facing a long, stressful investigation process. Contractors receiving a new-style compliance letter from HMRC should only respond after seeking expert help. Contractors can use the Taxpayers’ Charter to help during investigations if they believe HMRC has behaved badly. Contractors falling foul and whose company has no cash to pay any tax due to HMRC are safe from personal liability. 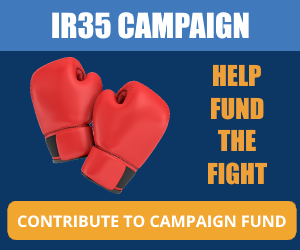 Interested in the IR35 court cases? Find here a list of all historic IR35 results and copies of the court judgments. A timeline and oveview of the legislation since it was introduced in April 2000. Limited company contractors will find themselves labelled as ‘disguised employees’ and caught if they pass the tests of employment. An exercised right of substitution (RoS) clause is the IR35 silver bullet you need to pass IR35. Here's how to get clients to allow it. Contractors can apply simple strategies to add weight to their status by employing expert sub-contractors to work on their contracts. Mounting evidence suggests that a contractor’s genuine right of substitution, if exercised, is the key status factor outweighing all others. You can use other workers to help fulfil contracts and thereby prove those contracts are outside. Using a substitute means you could enjoy 3 years of contracting, according to HMRC’s business entity tests. If you are able to make unfettered substitutions you can use substitution to stay outside. Contractors can't expect to use the company canteen or to enjoy other employee rights because they risk falling inside. One of the tests used to prove employment status is being 'part and parcel' of an organisation. You should avoid this at all cost. If you are able to show you are in business on your own account you are on your way to staying outside. The objective is to prove you are not 'part and parcel'. Follow these simple steps to ensure that your contract does not fall foul of the IR35 rules and save thousands of pounds in tax bills. Is it worth spending money on buying an 'IR35 Free Contract' ? Examination of the grey areas between client, agent and contractor. Can I change contract terms to be outside IR35 during a contract? Learn the issues to look for in your contract that could spell IR35 disaster - and how to avoid them. HMRC always obtains the agency-client contract and compares it with the contractor contract. They rarely agree, and this spells trouble. A contract between a contractor and a client is not necessarily a defence against a determined HMRC IR35 investigation. Follow these 5 easy steps before signing and starting your contract to ensure IR35 does not apply to you. A contractor’s covering letter sent with a confirmation of arrangements to a client manages expectations. The termination clause in a contract can result in a ruling going either way. Contractors facing challenges securing a signed confirmation of arrangements from a client may find a well-structured covering letter does the job. Contractors can use the threat of claiming employment rights as a bargaining chip with clients following two key rulings, says Andy Vessey of Qdos. IR35 and contractual paperwork: How important is it really? Is your contract worth the paper it’s written on when it comes to an IR35 investigation? Yes and no is the surprising answer. Find out why. 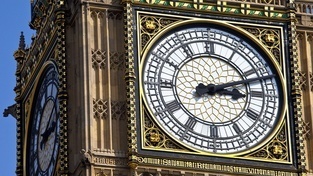 From September 2012 contractors with public sector contracts may have to demonstrate to their clients that the off-payroll rules don’t apply to them. Here are 11 things you must avoid if you want to stay outside IR35. Whatever you do, don’t ignore them! 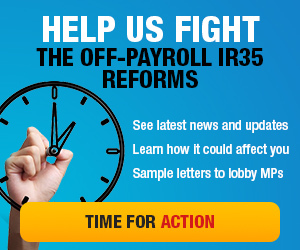 Keeping contractors outside IR35 is key to keeping their skills in the public sector. Find out how you can do exactly that with our IR35 testing tool. HR advisors will be vital in ensuring their clients navigate successfully the risks posed by the Off-Payroll IR35 rules. Find out how to do so, here. Roger Sinclair of Egos dashes the hopes of contractors caught by it claiming employment rights from their clients. The Taylor Review proposes the introduction of a ‘dependent contractor’. Find out what this means and how else the Review could affect contracting. Can I get financial protection against an IR35 investigation? How can a contractor protect themselves financially against an investigation. Contractors investing in insurance are buying peace of mind. Or are they? Not all policies are what they seem, so check the small print. 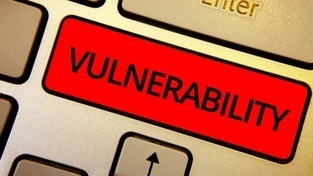 A detailed examination of the underlying design and code structure of HMRC’s IR35 tool reveals multiple glaring issues. Take a look under the bonnet. History, analysis, and ultimate contractor guide to avoiding IR35.